We are fully booked for 2019 weddings from May - October, but are accepting all 2020 inquiries. To inquire out about a particular date or to request more information, please fill out the form below and we will get back to you promptly. Tours of the property and event spaces are by appointment only. Download our events brochure to review our Frequently Asked Questions and to view sample floor plans. Interested in hosting a more intimate wedding at Hasbrouck House? Check out our off-season wedding packages by downloading the brochure below! November & December 2019 dates now available. There are a number of private event locations on the property. For events under 50 guests we recommend the use of the hotel’s restaurant, Butterfield, which offers both indoor and outdoor options. 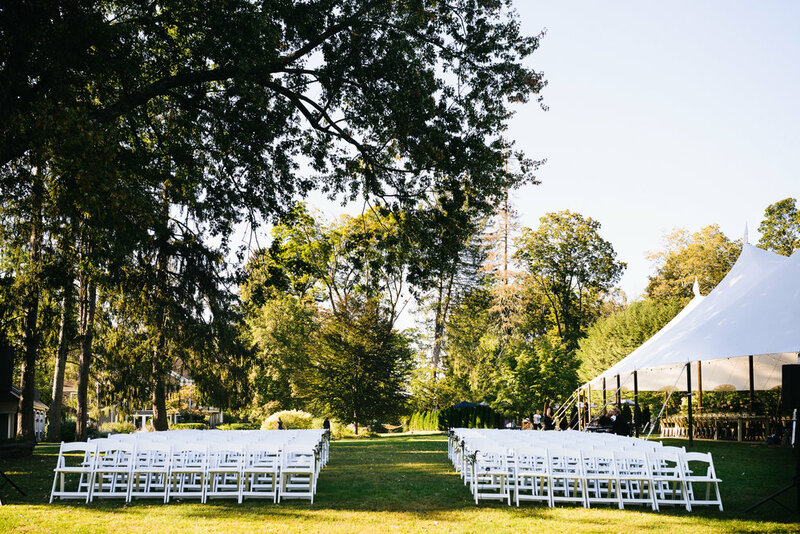 For larger private events and weddings, we recommend the use of the large bluestone patio located on the main lawn in the rear of the property. There is also ample lawn space surrounding the patio available for private event use.